You can find details of all the cats and kittens currently in our care who are looking for new homes below. Please be sure you are ready to adopt before coming into the centre as cats are normally only held for up to 2 days between reservation and adoption. We suggest you have a look below to see the cats that are available before visiting the centre. On average, each cat can cost us in excess of £300, however we only ask for an adoption fee of £75 per cat, and £5 as a reservation fee if you want a cat held exclusively for you for 2 days. All of this money goes back to helping more cats in our care, so by adopting a cat from us you are making a huge difference to the lives of many cats and kittens. Thank you! 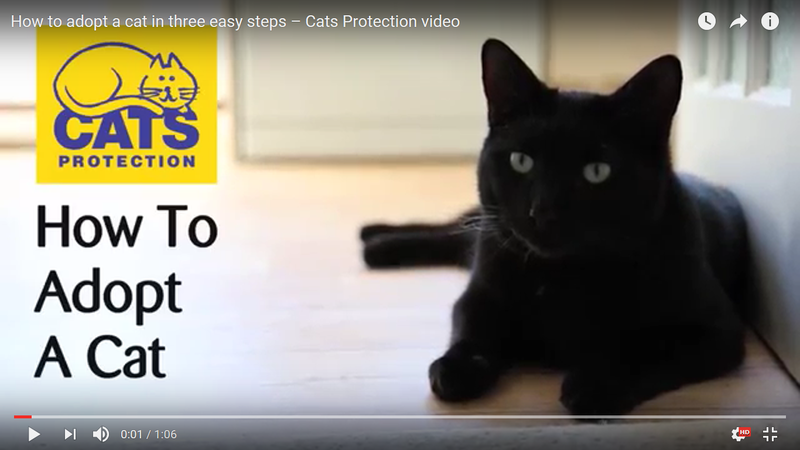 To see just how easy it is to adopt a cat from us watch this short video about the adoption process Watch video Learn more about Adopting from Us, see our Frequently Asked Questions and Essential Guides to settling in your new cat.